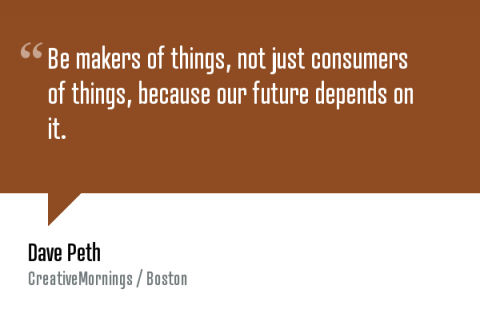 Powerful quote from Dave Peth’s CreativeMornings talk. We all can not be makers, we better be thinkers of things for a better world. Learn how to use existing things in a better way. Otherwise our future will be full of things… maybe unuseful things. Powerful quote, and more relevant now than ever.